About 12-18% of its pre-tax profit is exposed to the insured market. Raffles Medical Group’s patients that pay through insurance could be hurt by recent changes in insurance full-rider policies and affect the company in the near-term run, UOB Kay Hian revealed. According to a report, Singapore will no longer have full-rider policies, wherein patients’ hospitals will be paid in full regardless of cost. New insurance policies with riders or existing policyholders buying a new rider will need to eventually pay at least 5% of their hospital bill. The amount the policyholder needs to pay can be capped at $3,000/year albeit insurers can set a higher threshold. The $3,000 cap would only apply if patients are treated by doctors on the insurers’ panel. UOBKH analyst Andrew Chow noted that the latest change in regulations should not be entirely surprising as insurance premiums have surged by up to 80% for IPs without riders and 225% for IPs with full riders. “The reason for the sharp rise in premiums is to address the potential for ‘over-consumption, over-servicing and overcharging.’ Following the surge in claims, all the six insurers in Singapore suffered underwriting losses in 2016, and we think that this led to higher premiums for all new policyholders,” he added. Depending on the overall hospital bill, it is estimated that the change in regulations will result in patients paying $500-800 for every $10,000 incurred in hospital bill after the change in regulations in insurance rider. Chow said that in terms of potential impact, there would be a limited near-term impact on Raffles Medical Group (Raffles Medical). 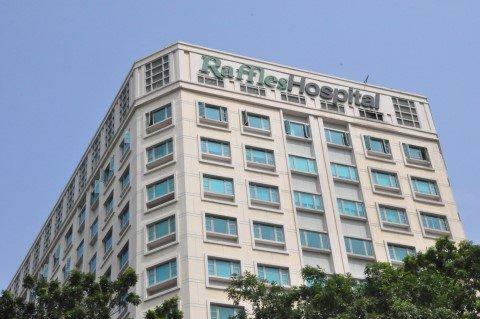 “The segment that would be impacted by this change would be patients that rely on insurance coverage, which would exclude most of Raffles Medical’s foreign in-patients,” the analyst said. According to UOBKH, foreign patients still account for about one-third of Raffles Medical’s in-patient load and tend to have higher billing intensity. Local patients paying by insurance is estimated at 20-30% of the total in-patient load. “Using 2017 pre-tax profit, we estimate 12-18% of Raffles Medical’s pre-tax profit is exposed to the insured market,” Chow said. “However, we caveat that the estimated 20-30% of patients paying via insurance could be understated since there are patients who could have settled the hospital bills personally and subsequently claimed from their insurers,” he added. UOBKH thinks Raffles Medical’s business model would inherently help to avoid over-charging and over-consumption of medical services. “This is because Raffles Medical’s group practice model allows doctors to focus on medical excellence and a good outcome for patients rather than profitability. There is also medical fee transparency for Raffles Medical’s treatment. More importantly, all in-patient treatment and operations are subject to a peer review by a panel of medical doctors,” Chow said. How Much Does it Cost to Study at the World's Top Medical Schools?